What role do local co-ops have in expanding and supporting cooperative economies to better serve the needs of all Minnesotans? How can we collectively shape a more-inclusive cooperative economy that builds and retains community wealth and well-being for everyone while closing Minnesota’s income inequality gap? As the state with the second-highest rate of racial disparities in the U.S. (behind Wisconsin and followed by South Dakota, Illinois, and Iowa), how can Minnesotans address systemic injustices present in our housing market, educational institutions, and financial establishments? By leveraging the power of cooperative economics and existing co-op member-ownership, opportunities exist to holistically address some of these social inequities. As the state with the greatest number of cooperative businesses per capita in the country, a great first step we can as member-owners is supporting and investing in cooperative enterprises created by community members who have been systemically marginalized and disenfranchised. Enter the Association for Black Economic Power (ABEP) and Blexit, one a group of community organizers, the other a local grassroots nonprofit they’ve founded. 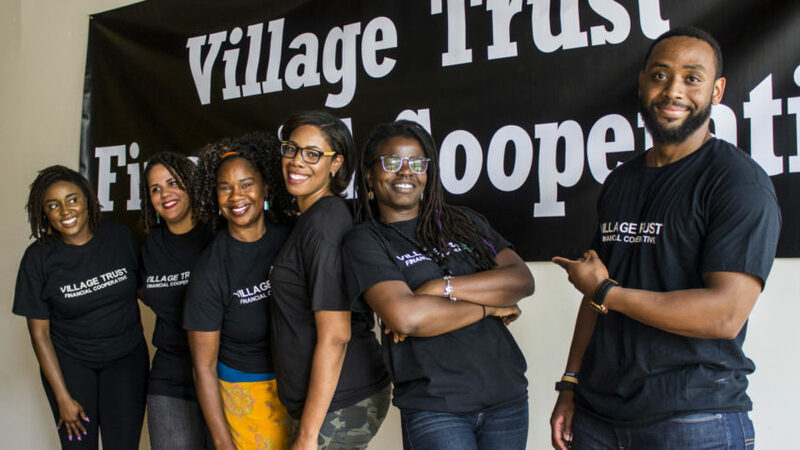 Together, they believe the power of cooperative economics will better aid underserved communities of color that have historically been preyed upon and excluded from traditional financial institutions. ABEP is working to launch a Black-led credit union in North Minneapolis called Village Financial Cooperative (VFC). This movement began in 2016 in response to the murder of Philando Castille to create forms of civil economic resistance and community investment prioritizing Black-led institutions while paving a path toward equitable prosperity for all people. Unlike conventional banks, credit unions are established by and for their members. Like food co-ops, credit unions operate using a non-extractive economic model that retains financial capital locally. Similarly, they are also governed by their members and are not beholden to other stakeholders or special interests, enabling them to directly benefit members proportional to their use. ABEP has set a goal of reaching 5,000 pledged co-op members prior to opening VFC in mid-2019. To date, over 1,700 people have pledged to join and transfer their money from for-profit banks to VFC. Support has also come from Minneapolis Mayor Jacob Frey who pledged $500,000 of the city’s annual budget last August to VFC. Village’s Director of Development Me’Lea Connelly notes that precedent exists locally — the Credjafawn Social Club established one of the first Black-led credit unions in the country during the 1930s in Saint Paul’s Rondo neighborhood. This African American social institution also opened the Credjafawn Co-op Store, a local grocery predecessor to Mississippi Market. Once open, VFC plans to offer free check cashing, low-interest consumer loans as an alternative to high-interest predatory payday loans, and startup capital loans to other emerging Black-led co-ops. Anyone who lives, works, goes to school, or worships in Hennepin or Ramsey County may become a member of VFC. Learn more, pledge today, and join the movement at villagefinancial.org. Join Mississippi Market, the Twin Cities Good Food Purchasing Coalition, and emerging Black-led credit union Village Financial Co-op for an evening exploring the power of cooperative economies. Discussions will highlight methods for racial equity in our food system and cooperative finances as pillars of community well-being that can pave a path towards equitable prosperity for all people. Learn about the history of our food systems, how past and present-day food system inequities came to be, and how cooperative banking disrupts predatory lending while growing and retaining community wealth. Resources on how you can get involved will be available.